Dating back to the late 1980s, the game of paintball has seen many revisions. However, though the game dates to the late 80s, the idea of a paintball goes back considerably further. Charles Nelson was the first to invent the paintball, using it to help forestry engineers to mark trees and ranchers to mark cattle. Though his plan for invention never took off, paintball had a rebirth in 1989. Since its founding, the paintball has come a long way. The first four products listed give the paintball the “paint” feel while the last gives it the color. The exact mixture of these products is a trade secret, though most companies will use a combination of these five. However, these five ingredients, when mixed, are still in a liquid state. There’s a sixth component that forms the ball. Initially, paintballs were manufactured by pharmaceutical companies. The reason behind this is because these were the companies that made pills the used the capsule method. 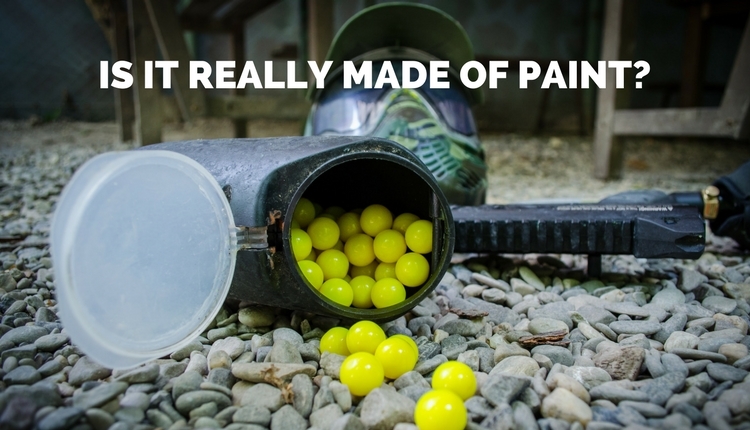 These companies made paintballs by using the same process to make liquid pills. Originally, when the paintball was used to mark trees and cattle, this outer shell was made of glass. However, the creation of paintball as a game required a replacement for glass. Now, instead of glass, a shell of gelatin material, similar to that used in medicine, is implemented. Most companies will not let visitors see the process of making the paintball due to most factors of the process being trade secrets. However, the process of making the fun paintballs we all love shooting at our friends is a rather complicated. A machine first creates dimples into two strips of gelatin. Each dimple forms a half of the ball. Once the device makes the dimple, it then feels one-half with the mixture of ingredients listed above. The dimpled gelatin then continues further in the machine where the two halves are combined, forming one solid paintball. The two halves of heated gelatin quickly mold together, not leaving much access around the rim of the ball. However, they do no form the perfect circle required for accurate firing. With the gelatin rounds still warm and moldable, they next go into a tumbling drum. This drum turns quickly, causing the balls to bounce around. However, since they are heated, the spinning of the drum caused them to form perfect circles. Also, the drum cools the balls down so that, as they take their shape, they harden and stay in that shape. The last step of the process is simply to let the balls dry completely. The amount of time they are allowed to dry is another trade secret determined by the formula used to make the paint, as well the amount of time the balls spend in the tumbler. When the drying time is complete, the balls are ready to be fire. There’s a myth that has been in the paintball world for a long time, and that is the idea of freezing the balls. For most recipes used to create paintballs, the temperature at which they freeze is an astounding -15 degrees C. This fact means that most freezers will not freeze the ball. Instead, the balls will become misshapen and will not fire correctly out of the gun. Chances are, the balls won’t even make it to their intended target. Don’t worry; paintballs aren’t made with glass anymore. Also, though they are water-soluble, it’s always a good idea to wear clothes you wouldn’t mind getting stained. After all, the paint won’t be the only thing getting on your clothes. Now that you know what that gooey substance is, you can go out and have fun knowing you aren’t damaging the environment. Copyright © 2019 Secured Flanks | All Rights Reserved.